We are committed to preserving the trust of our visitors through our online business practices. L'esperance Tile Works will never willfully sell, trade, rent, or otherwise transmit any personally identifiable information about customers to any third party. Personal information such as email addresses and the like, and any other information that is collected by L'esperance Tiles, will never be shared with anyone or any other group or organization. Any and all information collected will be treated with the utmost confidentiality. We respect your privacy at all times. Protecting our cusomers' confidential information is a priority for us. When you place an order online with L'esperance Tiles, we collect your name, contact information, billing address and shipping addresses, credit card information, and email address, which are automatically transferred "secure socket layer" (SSL) technology. This information is encrypted and is not accessible to anyone else online. We use this information to fulfill your order and to communicate with you about it. Your order is then processed internally; no one but our order processors will have access to your information. We do not sell, trade, or rent your personal information to others. By using our Web site, you consent to the collection and use of this information by us for processing and shipping purposes only. Our shopping cart system accepts payment using Visa, MasterCard, and American Express. If you prefer not to pay for your purchase by credit card, we also accept money orders and personal or corporate checks. With this method of payment, you must call in your order over the phone (518-884-2814). In addition, the check must clear with our bank before we can ship your order. All prices listed are in U.S. dollars. If items you order are out of stock or unavailable, we will notify you by phone and/or email, and your payment will not be processed. We are required to collect sales tax of 7% on all orders being shipped to customers in New York State. This tax is calculated on the total of merchandise and any applicable shipping/handling charges. We ship orders within the continental United States. Please be aware that our online checkout system calculates an estimate of shipping and handling charges for your purchase. Depending on the size of the order, distance to be shipped, and other factors, that estimated amount may be reduced or increased. We will contact you directly if there are additional shipping charges due. If the estimate is more than the total amount due for shipping, we will chargeback the difference to your credit card, or issue you a refund check. 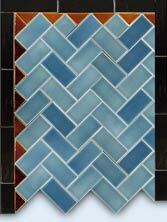 Natural variations are inherent in handmade tile and add to their unique beauty. We are confident that our customers will find the quality of our tiles above expectations. Responsibility lies with the customer to verify the contents of the order at time of delivery. Product claims must be addressed prior to installation. As we are not the shipping company used for delivery, certain unexepected logistical occurances can unfortunately take place which are beyond either our or our customers' control. In the event of such an instance, we will make every effort to rectify the problem in the most immediate time frame. We make it our policy to inform the customer of any delays in delivery time as it is made apparent to us. Quality and quantity of orders are checked at the time of shipping. Responsibility lies with the customer to verify the contents of the order and their condition at the time of delivery. L'esperance Tile Works will act as mediator between the shipper and the customer, as responsibility for in-transit damages lie with the indepent shipping company. The customer is responsible for all return shipping charges. There is a restocking fee of up to 40% for undamaged products that are being returned; no return on special orders. Unless approved by L'esperance Tile Works, products refused are treated as returns, and as such are subject to our restocking fee. Requests for returns must be made within 5 days of reciept of shipment, and be authorized by e-mail.